The following photographs of The Old Horse of Wales are taken from Tom Price’s website and are for educational purposes only. Foaled in 1984, this legendary homozygous black and white stallion was one of the most famous Gypsy Cob stallions of all time. The Old Horse of Wales was bred by the renowned Connors family of Ireland where he was known as Golden Balls. The Old Horse of Wales was owned at the time of his sale to the UK by Mr Ward who sold him to the well known breeder Tom Price of Wales. 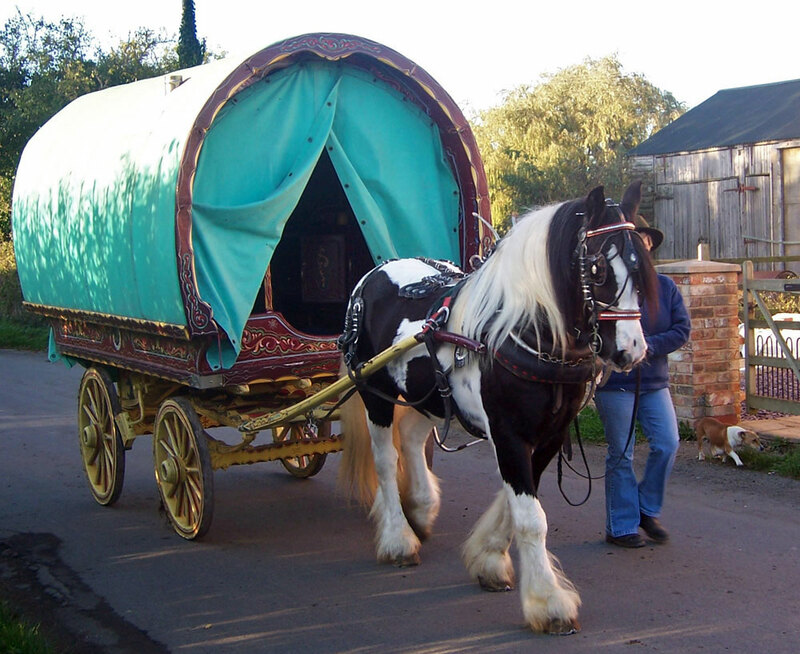 The Old horse stayed in Wales with Tom until his death in 2009 at 25 years of age. The Old Horse of Wales was himself a son of The Old Horse of Ireland. His dam was of one of Mr J Connors good mares (The J.C. Mare). He proved himself to be a very prepotent sire. Many of his son’s and daughters contributed his outstanding breed type to other influential UK breeders such as SD Farms and Albert Coates’ herd. SD King, The Farmer Stallion, Cushti Bok, Samson, Chief and Shampoo Boy are some of his most noteworthy sons. His daughter Ivy (known to Tom Price as The Blackberry Mare) is the only offspring of The Old Horse of Wales in Australia. Gypsy Cob Mare Ivy pulling a Bowtop in the UK with her owner Mandy Gardner. In Australia, grandget include the Ivy offspring Surrey Springs Gypsy Cobs’ The Cardinal (TC) owned by Nelly Jaehne, Rambling Rose (dec), Sangreal, Narnia and the twin Gypsy Cob foals Zuriel and Gazardiel. Sangreal, a grandson of The Old Horse of Wales by The Paladin from Ivy is the sire of the Surrey Springs’ foals Sir Percival from Kesali (imp UK) and “snoop” from The Black Teddy Mare (imp UK). We are thrilled with the quality of his first foal crop.